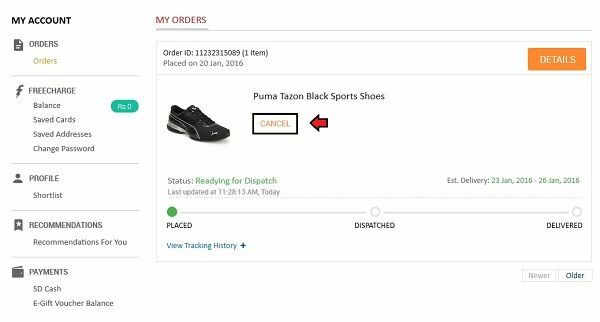 Do you want to cancel your order in snapdeal? There may be times, when you order something online but after a while you may find a better product as compared to the ordered one, which is quite beneficial to you and to your pocket In this kind of situation, what you need to do is to cancel that order and buy something else which is more useful to you. 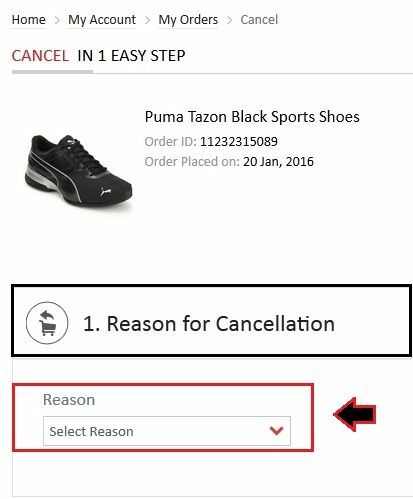 Snapdeal provides one easy step cancellation process and you just need to provide a simple valid reason before cancelling any product. 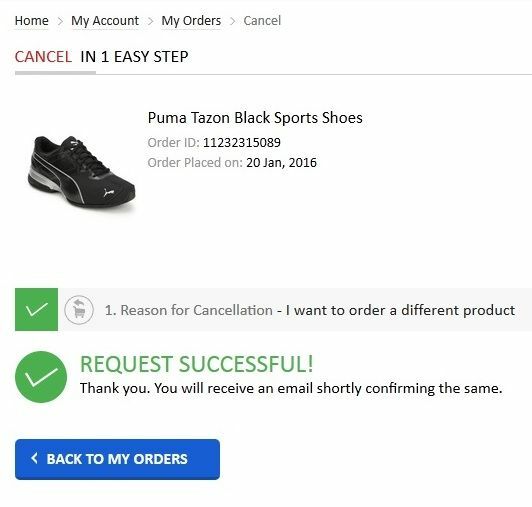 Just have a glance at this article to know how to cancel an order in snapdeal. Step 1: First go to the snapdeal official website, i.e. “www.snapdeal.com” and then click on the “Login” button, as marked in the image below. Step 2: Enter your email address or mobile number, combined with your snapdeal password and then click on the “Login” button as marked in the image below. Step 3: Now, on the right side of Snapdeal homepage, you may see different options, one of them is “Account” section. 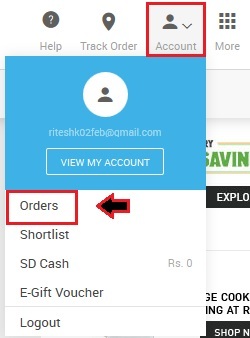 Just click on ‘Account’ to open “Orders” option as shown in the image below. Step 4: Under “My Orders”, you may see a list of orders. Select the one which you want to drop by clicking on the “Cancel” button, as marked in the image below. Step 5: In Snapdeal, there is “Cancel in 1 Easy Step” policy. 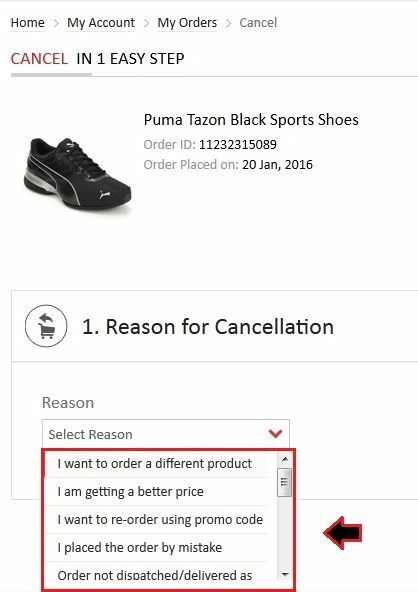 First, you need to select the reason for your order cancellation with the help of drop down provided. Step 6: You may see a list of cancellation messages, select the one which fits your criteria. 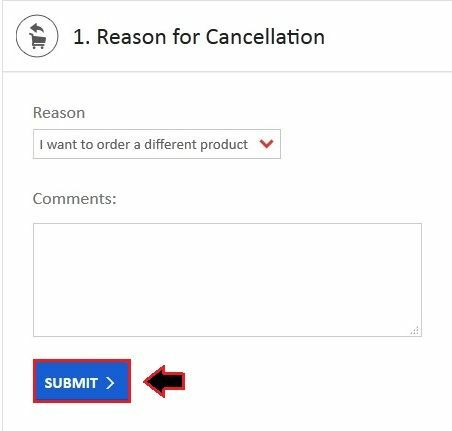 Step 7: After selecting your reason for order cancellation, just click on the “Submit” button.